Information for business owners or prospective owners about working in and with the Pyrenees Shire Council. If you are planning an event in Pyrenees Shire, our Events Officer is here to help. 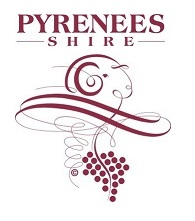 Pyrenees Shire Council welcomes and encourages filming in the Shire. You'll find a filming permit application form and other forms for Council's requirements on this page. Information about living in the Pyrenees, climate, geography, leisure activities. Apply for Council Tenders and Contracts.